I can hardly believe it’s 7 months since our fantastic weekend in Cornwall. It doesn’t usually take me so long to write about an adventure, especially when it’s one we enjoyed so much, but life has been pretty hectic lately. 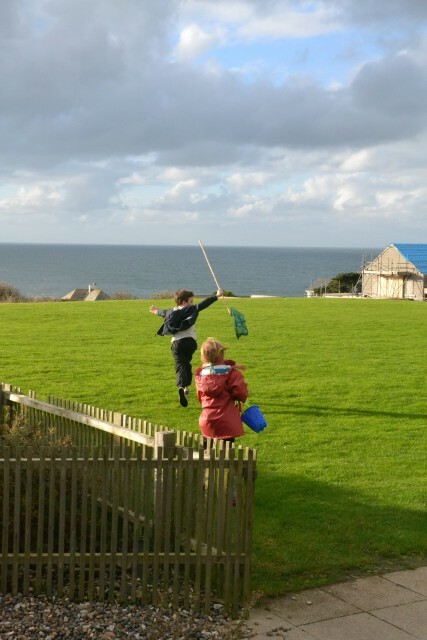 We stayed at the stunning St Moritz Hotel, which is just half a mile south of Polzeath beach on the North Cornish coast courtesy of Vita Coco as Zak’s prize for winning Best Kids Blog at last years MAD BLOG AWARDS. We had a pretty horrific journey down with Hannah being sick most of the way, there’s something about the A303 that doesn’t agree with my girls at all and we frequently have sick filled car journeys when we head that way. We all heaved a huge sigh of relief when we arrived, and were completely overwhelmed by how utterly amazing our rooms were. It was hands down the nicest hotel we’ve ever been lucky enough to stay in. We had three big rooms, as well as a living and kitchen area with all the appliances you could need, including a washing machine, which after our journey was just what we needed! Every little detail was so well thought out, there was even a mat for our dirty welly boots. We stayed in a cosy room, a king room and a first floor suite, all in the same area with a shared hallway, which was just perfect for us. 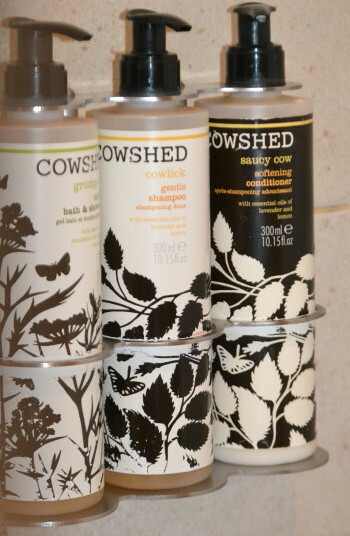 They were spotlessly clean and wonderfully comfortable with some great touches such as board games, and cowshed toiletries. 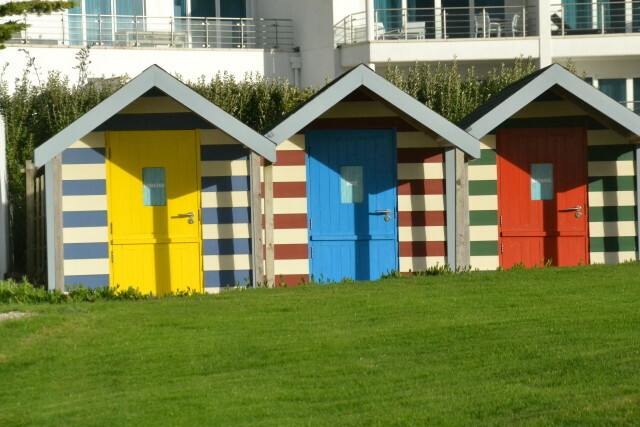 Even on a cold Autumn weekend the grounds were beautiful, we loved the brightly coloured beach huts and beautiful scenery. The nearest beach was just a short walk away and we spent a very pleasant afternoon skimming stones and looking for rock pools, armed with nets and buckets borrowed from the hotel lobby, which was another lovely family friendly touch. Our stay included breakfast and our evening meal. The continental breakfast included everything you’d expect with plenty of choice for the kids, fresh juice and lovely coffee. In addition you could order hot food, which was then freshly cooked to order. The St Moritz Restaurant has an open-plan kitchen which fascinated my children. The dinner menu changes daily depending on availability of fresh produce and was absolutely delicious both nights we were there. Even the bread to start was the best bread I’ve ever been served in a restaurant. The steak was perfectly cooked and the hot chocolate pudding wonderfully indulgent. I had been a bit worried about eating in a nice restaurant with the children, but they were all very well behaved and looked after fantastically by the restaurant staff. The lunch menu included delicious burgers and fries as well as a great choice of other dishes. The Mini Moritz club wasn’t running when we were there, but it looks fantastic. 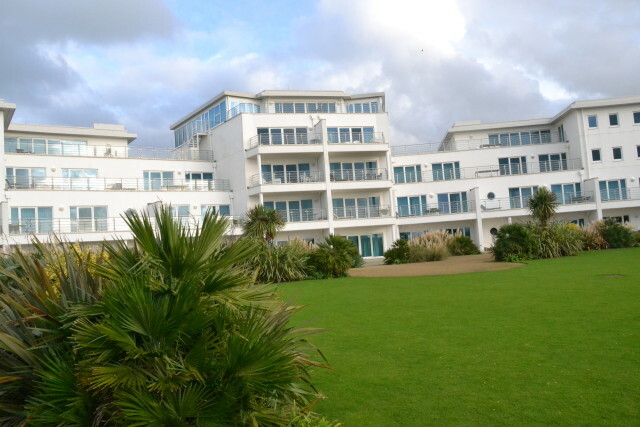 Kids 6 and over can go to surf school, take part in a rock pool adventure and lots more. There’s an outdoor pool and even a kid’s room where they can watch movies and play games. Even if the kid’s club isn’t running there’s so much to do at the St Moritz and surrounding areas, it really is a perfect family getaway. This little video gives you an insight into our fab weekend at the St Moritz Hotel. 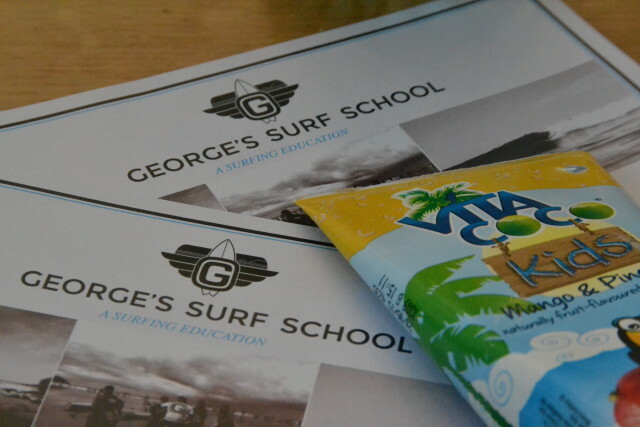 We’d like to thank Vita Coco, the MAD BLOG AWARDS and George’s Surf School for a weekend the children are STILL talking about 7 months later. George at George’s Surf School was brilliant too, endlessly patient and encouraging, even when both my children ran out of the sea! Zak ended the weekend hugely enthusiastic about surfing and is really hoping to have another go this Summer. thatt looks such a little slice of heaven. That looks and sounds perfect. We love Cornwall and Polzeath is beautiful. We are hoping to go down for a few days this summer as the boys are desperate to go surfing. It looks so lovely ! I hear so many nice things about Cornwall recently that I really think it is time to arrange a trip there. Cass@frugalfamily recently posted..How to Make Gummy Bear Ice Lollies….